that Yoga offers for personal and spiritual development. Druminspire is a worldwide offer of inspiration through psychology, sacred sound,drumming & art. Druminspiration can be enjoyed by corporate organizations & adult, children and adolescents individual and groups. Based on learning through experience- experiential learning- inspirational journeys are facilitated by Heleniq Argyrou, a clinical psychologist & drummer to connect you more deeply with your own source of inspiration as a life changing tool. Journeys are available in Europe and Africa. A journey can also become available in your country and custom designed to suit the needs of your group. No experience, drumming, musical or otherwise, is required for the journeys. Theatre Antidote is a recognized and firmly established young people’s theatre in Cyprus. Antidote offers a vibrant and diverse arts program from our base in Larnaca and in schools and other venues across the island. We produce theatre with and for young people from 2yrs and up. All our work is delivered by working in partnership with young people, their teachers and with artists across the spectrum. Antidote aims to develop potential and creative ambitions, regardless of ability, through celebrating the cultural diversity of Cyprus. This is achieved through four areas of work: producing professional theatre, writing original children’s plays, facilitating theatre workshops for children and youth and finally training school teachers through specialized ‘drama in education’ programs. Each year Antidote educates and entertains thousands of children across the island, enabling them and their families and teachers to participate in the magic world of theatre. Fashion collections and custom clothing designs and fittings by a Latvian designer in Larnaca. Your source of information on Complementary & Holistic Therapies and Self-Development in Cyprus. 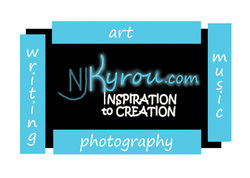 KiprosTV is a video based website with original content that aims to support the arts and culture of Cyprus. Its videos showcase local artists, musicians, theater groups and other individuals or groups that are involved with the arts. In addition it aims to raise awareness for the voluntary and community work provided by charities and non-profit organizations that are active in the community as well as related subjects such as multiculturalism, media literacy, etc.